Wedding photos count among our most treasured possessions, evoking the happiest of memories, and Aspinal's selection of Wedding Albums will turn them into a cherished and luxurious keepsake. Handmade by master bookbinders utilising traditional techniques, every detail from the acid-free interleaving to the premium calf leather binding furthers the feel of quality. Add a unique touch by embossing your album with your names and the date of your special day in striking gold foil. Wedding Albums from Aspinal of London are individually handmade in England in our own workshops by genuine leather and bookbinding master craftsmen and women. Each leather Wedding Album is made using only the best hand-dyed and hand waxed leather and age-old traditional bookbinding skills handed down through the generations. 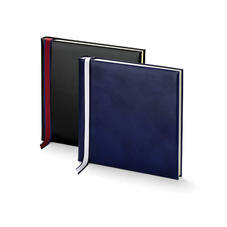 The Aspinal Wedding Album collection has been created to offer a truly beautiful range of unique wedding photo albums from the traditional to the contemporary to cherish. 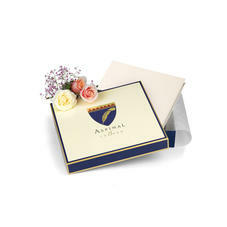 Each Wedding Album can be personalised and gift boxed to create the ultimate luxurious Wedding Photo Album. Each Wedding Album has 50 buttery cream or black, chemical free Archival card pages and a strong, acid-free white tissue interleave between each page to protect your photos. 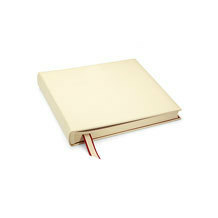 Our collection of Leather Wedding Albums are perfect for personalising with names and dates of your very special day.